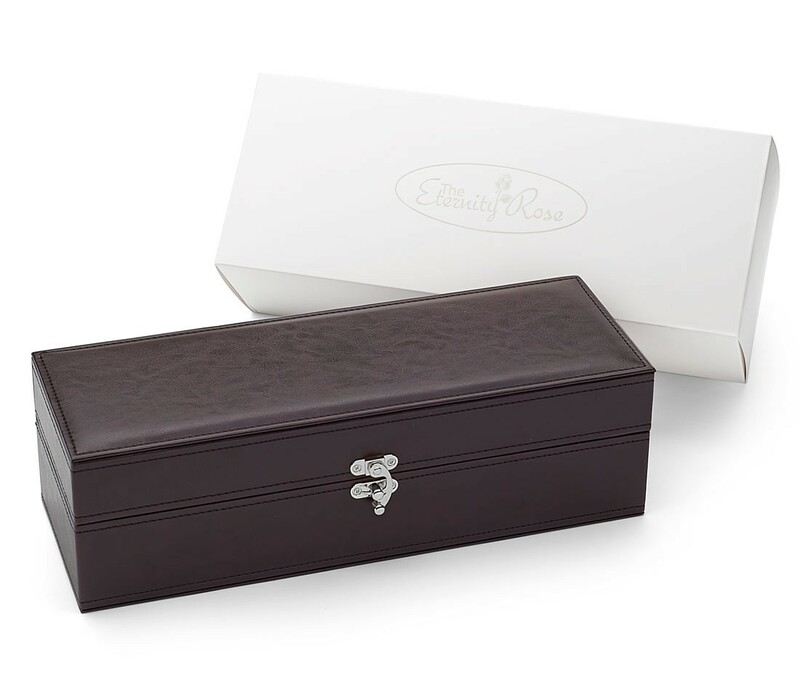 Each rose comes presented in its own stylish display case made from quality PU leather. Featuring a lustrous and brilliant mirror finish. An eternal symbol of lasting friendship and love. We process all orders quickly and use two-day express transport as standard. 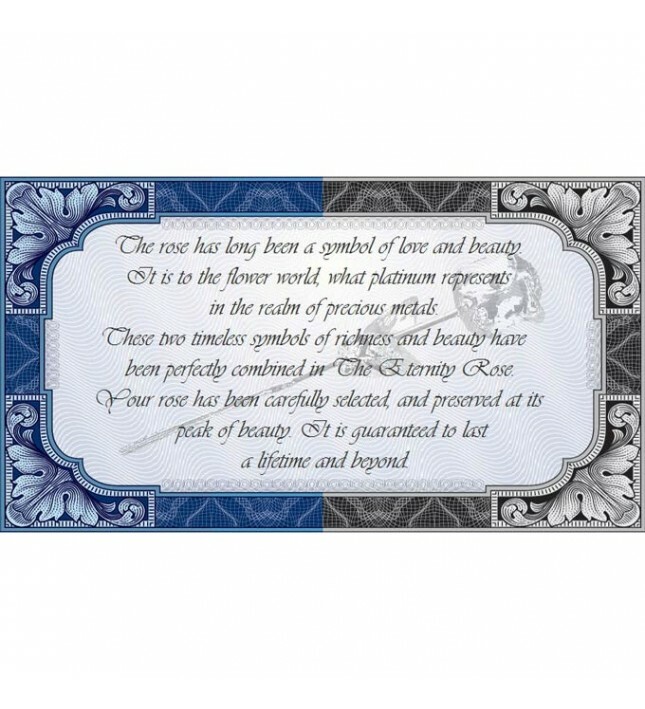 The worlds most recognised symbol of love, beautifully and artistically presented. A real rose, picked at its perfect stage of bloom. 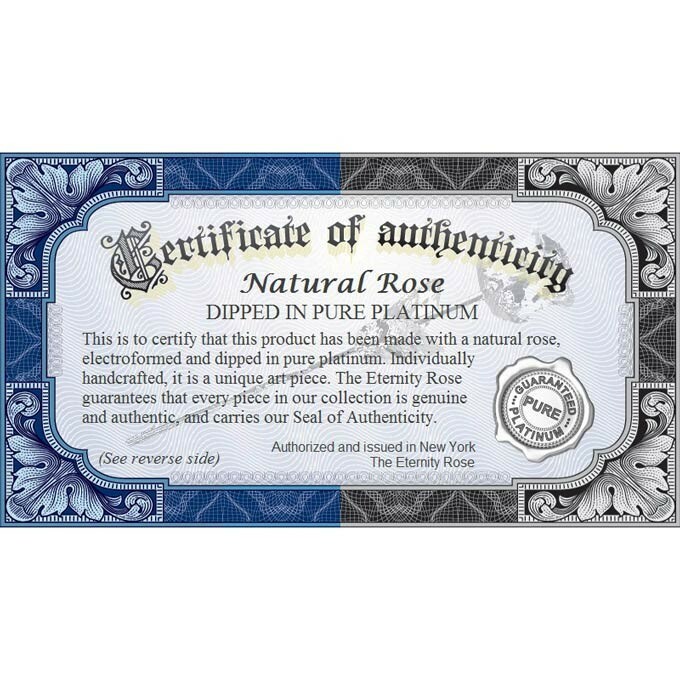 Each rose is dipped in high-quality certified platinum. 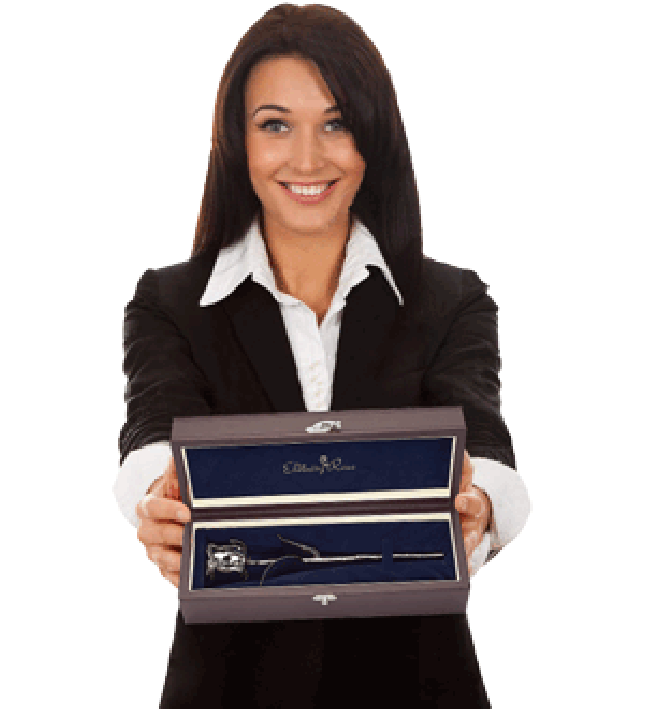 A display case made from PU leather is supplied with each rose. 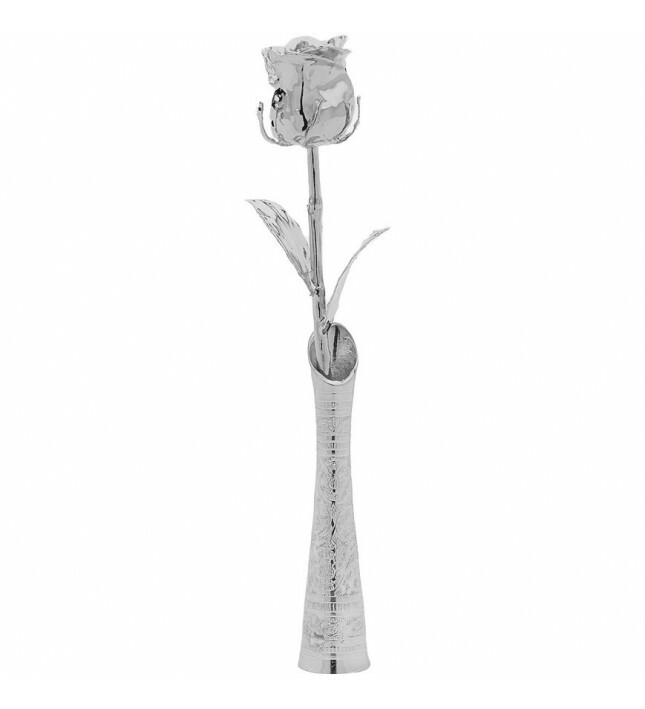 Each rose has a finish that is lustrous with a mirror shine. An impressive work of art that uniquely expresses true love, friendship and lasting beauty. For all time, the rose has represented the ultimate symbol of beauty, true love and emotion. 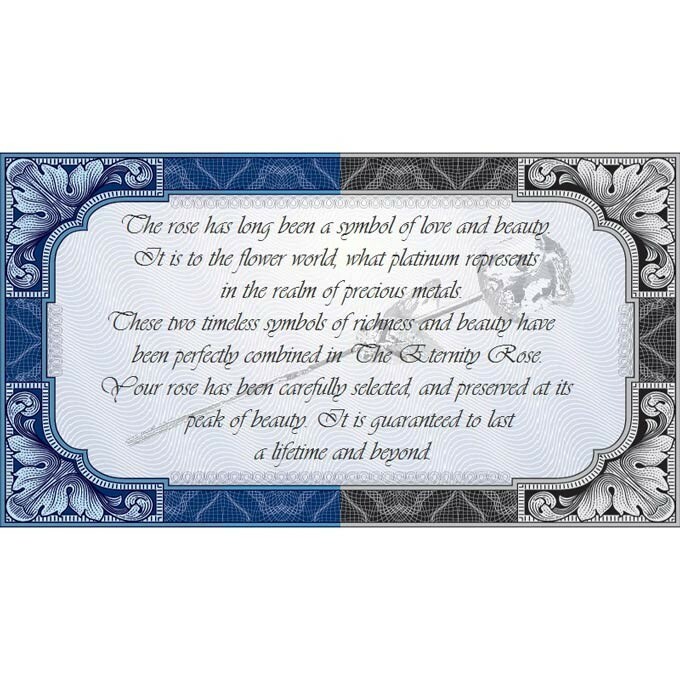 Captured forever in literature and art as twin tokens of eternal devotion, platinum and roses are now found in perfect combination in this stunning gift from The Eternity Rose. 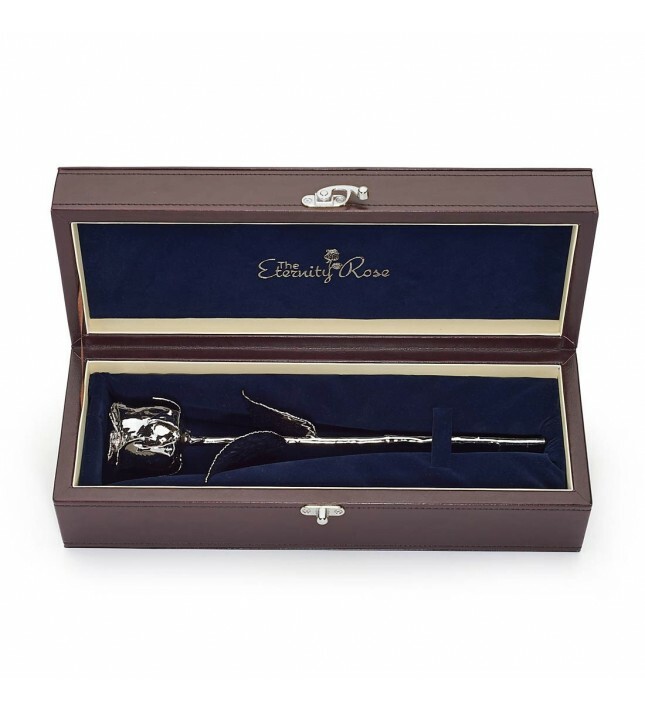 There is no occasion that could not be celebrated by giving the gift of a stunning Eternity Rose. 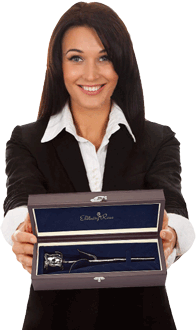 Any lady would be delighted to receive this long-lasting present for her birthday, Valentine's Day, graduation or Mother's Day, or indeed any other celebration when a thoughtful and beautiful token of appreciation is required. 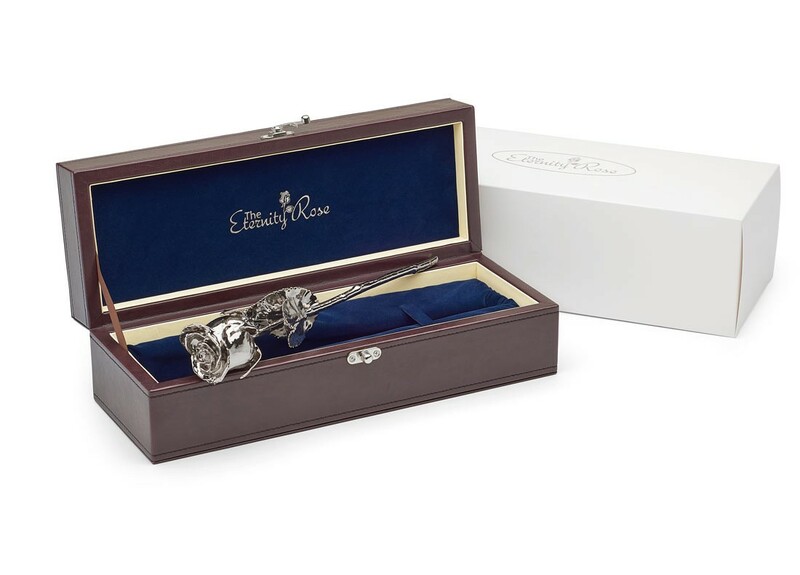 For a 20th wedding anniversary gift with added meaning and relevance, a platinum-dipped Eternity Rose is the ideal solution, as this anniversary year is now widely associated with this precious metal rather than traditional china. This unique work of art is an impressive way to surprise any lady, and represents the ideal way to combine the elegance of a flower with the magnificence of a fine ornament. Through the ages, love has become the ultimate symbol of love and affection. 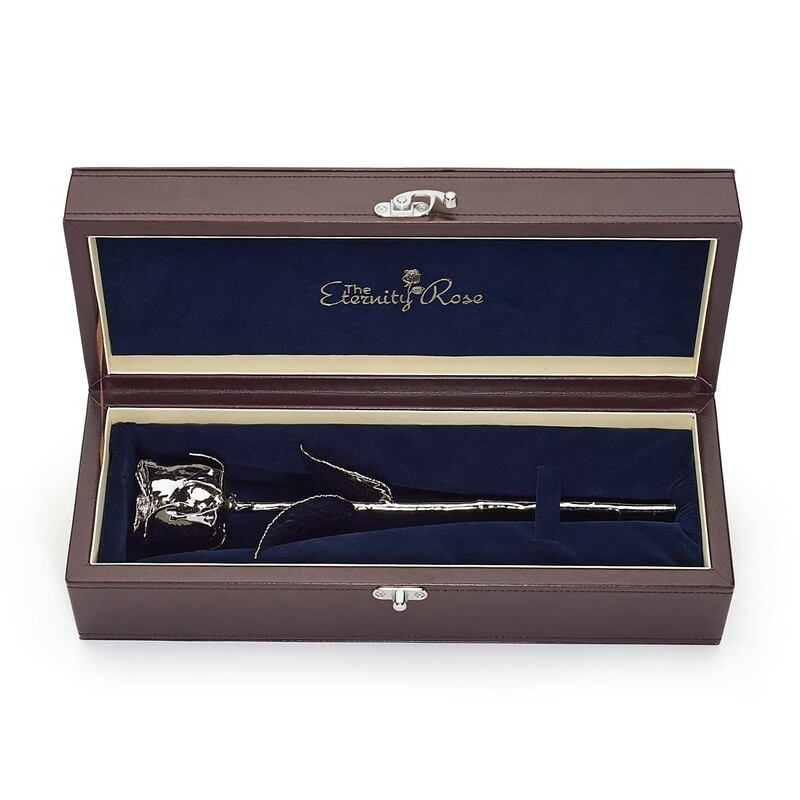 The Eternity Rose has made it their mission to develop this lasting love token into a lavish art work to be displayed proudly as an enduring reminder of eternal love. Our nursery's qualified horticulturalists especially select all our home-grown roses for their exceptional beauty and pick them by hand as soon as they have reached their point of perfection. No expense has been spared in ensuring that each flower begins its preservation process at the very moment it is at its peak of beauty. Our patented process takes three months and involves 60 complex steps which begins with electroplating the rose with several pure copper layers to create a texture-sensitive base that is optimised for plating with precious metals. 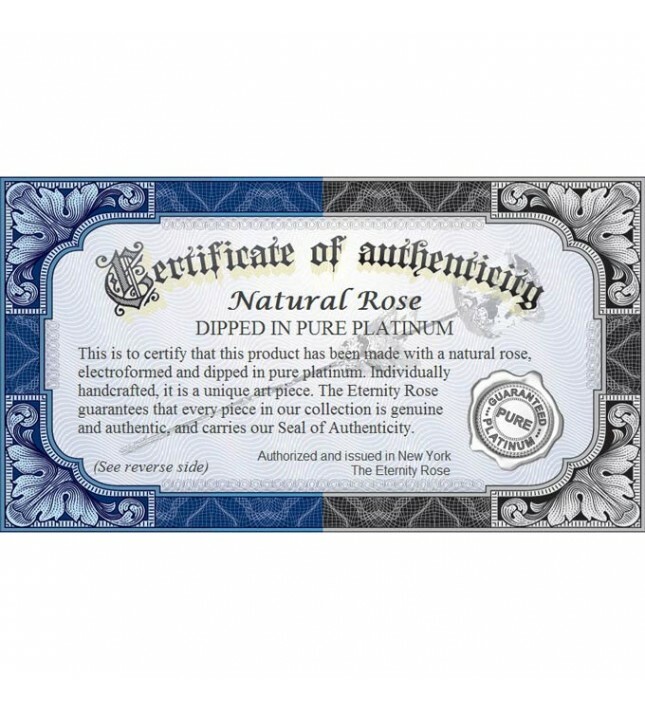 Once it has been sealed with copper, an electroplated layer of nickel is added after which the rose will pass on to the platinum-dipping bath. The flower is subjected to our rigorous quality control procedures to ensure that it remains flawless at every stage of the layering process. Platinum is added in many thin layers, built slowly over the course of weeks to result in a gorgeous mirror finish that is brilliant and magnificent. 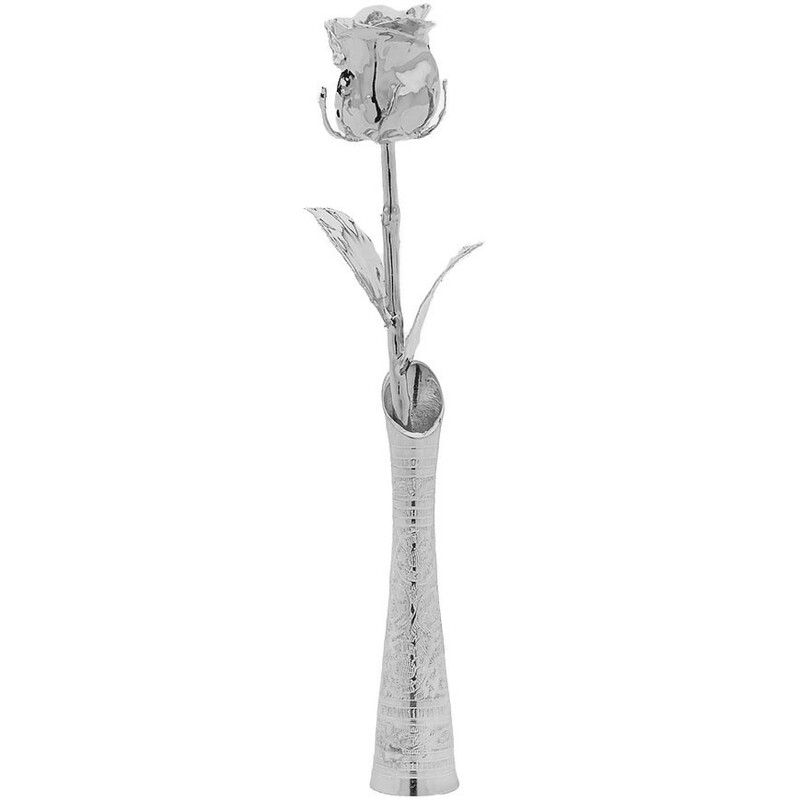 A platinum-dipped Eternity Rose will never corrode and will last forever, as beautiful as the day it was made. If a special lady in your life has a particular penchant for gold, you may be interested in an exquisite 24k gold-dipped Eternity Rose, which is an ideal gift for any important occasion. 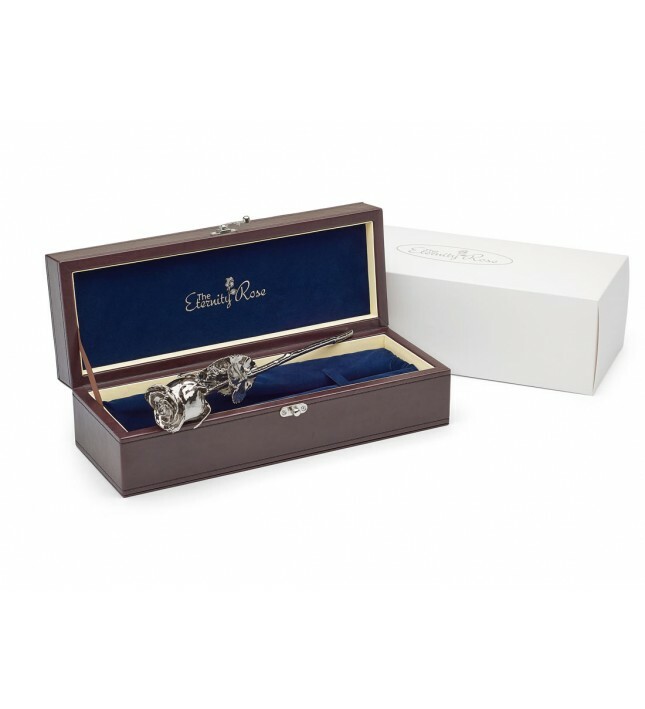 Impress your loved one with the gift of a beautiful Eternity Rose, and surprise them with the present that they truly deserve.